He did not name the two leaders in his accusation but was obvious the criticism was directed against them. According to Media reports the president and PM-designate have reached an agreement to form a small homogeneous and productive cabinet whose members will not be candidates in the upcoming parliamentary elections . Salam, who has rejected granting any party a blocking third or veto power could face a lot of opposition from the Hezbollah led March 8 alliance which has called for the formation of a political national unity cabinet. Interior Minister Marwan Charbel, ex-Minister Jean Obeid, former Minister Ziad Baroud, Raed Sharafeddine, former MP Nasser Nasrallah, Bahij Abou Hamze, Nicolas Nahhas and Mohammed al-Mashnouq. Progressive Socialist Party leader MP Walid Jumblatt previously mentioned Bahij Abou Hamze as a possible candidiate for the energy ministry , but Aoun reportedly wants to hold onto two ministries the Energy and the telecommunications. Abou Hamze is the president of COGICO , a leading importer and distributor of petroleum products. Abou Hamze’s wife , Mona is a famous Lebanese TV host. She hosts “Talk of the Town” on Murr Television which won the Murex d’Or Award. Regulatory Committee and is a member of the Bank’s Central Council (Board), the Open Market Committee, and the Investment Committee. 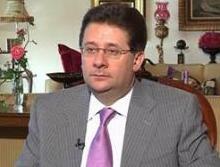 He also oversees several departments in Lebanon and is on the Board of several NGOs . Nasrallah is a Member of the Amal Movement which is headed by speaker Nabih Berri. He was the president of the national Lottery between 1999 and 2004 and the managing director of the Office of the river Litani in 2002. Obeid a veteran journalist and a lawyer by training served as a member of the parliament and as minister in various capacities. In 2008, he ran for the presidential elections and was considered to be a possible consensus candidate. In the general elections of 2009, Obeid ran for the Tripoli seat, but lost. Mashnouq is currently the general manager of Group Plus Holding and president and chairman of Communications Consulting Group (SAL), and is also the president of the AUB Alumni Association. He is also a member of the AUB Board of Trustees and the Steering Committee of the Permanent Congress for the Support of AUB, and has served as chairman of several national conferences held by the Alumni Association. In 1972, with the help of teachers in Paris, he created his own eau de cologne. Charbel and Nahhas are currently caretaker ministers in PM Nagib Mikati’s cabinet while Ziad Baroud is a former minister in Saad Hariri’s cabinet. Salam, who has rejected granting any party a blocking third or veto power and wants a homogeneous government which can be productive, will put him in a collision course with March 8, whose main members – Hizbullah, Amal and the Free Patriotic Movement – have called for a national unity cabinet. The alliance has also stressed the importance of commitment to “the People, Army, Resistance” formula in the government’s policy statement, while Salam insists on using the Baabda declaration as the policy statement. “We don’t want the 1960 law and there is consensus on its rejection,” Kanaan said. of parliamentary blocs.” And why not, when the blocs he refers to represent ‘foreign invaders’? Ignoring ‘foreign invaders’ is, maybe, an early sign of health returning to Lebanese politics! And then, how to limit ‘news bits’ of a ‘Change and Reform’ blockhead who hates change.